Nelson Boys Deliver the Poop! 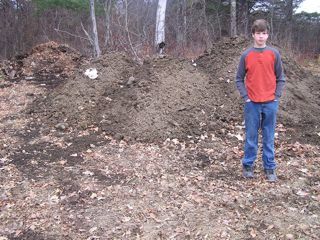 In our never-ending quest to add nutrients and organic matter to the garden Cooper Nelson and his father James have donated 12 yards of cow organic matter. The kids have already used it for the fall garlic beds as well as the hoop houses. We would like to thank the Nelsons for their support!